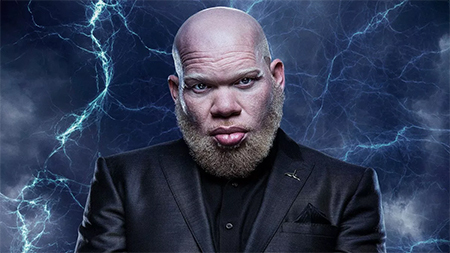 Marvin "Krondon" Jones III currently stars in the CW's Black Lightning, portraying Tobias Whale, a crime boss and lead villain. The role marks Jones' transition into acting, as he is also a solo rapper and Strong Arm Steady (SAS) front man. With the moniker Krondon (KRNDN), Jones recently released his impressive independent project Everything's Nothing, which features standout tracks "7 Eleven" and "Lean On Me," capturing the essence of the West Coast with his "feel good" records. Apart from his work with SAS, the Cali rapper has written for a number of artists, including Snoop Dogg, Dr Dre and Xzibit. In 2003, he released a successful collection of cuts independently, entitled The Beginning Of.